Weetzie Bat’s Guacamole Tostadas | Good. Food. Stories. I want every day of summer to be like Weetzie Bat’s late-1980s Los Angeles: when the heat, settling purple and smoggy in the city, becomes too much, I can skip over to the ocean for gleaming water and clean sand. Of course . . . I know L.A. isn’t really like this, but Francesca Lia Block’s iconic 1989 novel Weetzie Bat paints a romantic-baroque-punk picture of the city and then encrusts the whole thing in glitter and rose petals. And, of course, food. I first read Weetzie Bat when I was eleven or twelve, and aside from its evocative descriptions of fashion and music, the thing about it that left the greatest impression on me was the way Block wove micro-descriptions of food into the landscape of L.A., to such an extent that, by the time Dirk, with his “chiseled features” and “shoe-polish-black Mohawk,” stops for “all-you-can-eat pea soup at Anderson’s Pea Soup” at the end of the book, Block has actually managed to make pea soup seem like the ultimate punk comfort food (29, 4, 86). 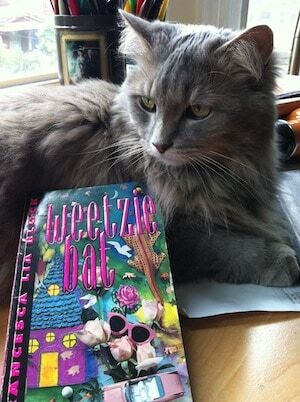 “Weetzie and Dirk went to shows at the Starwood, the Whiskey, the Vex, and Cathay de Grande. They drank beers or bright-colored canned Club drinks . . . After the shows, sweaty and shaky, they went to Oki Dogs for a burrito. In the daytime, they went to matinees on Hollywood Boulevard, had strawberry sundaes with marshmallow topping at Schwab’s, or went to the beach. Dirk taught Weetzie to surf. It was her lifelong dream to surf—along with playing the drums in front of a stadium of adoring fans while wearing gorgeous pajamas. Dirk and Weetzie got tan and ate cheese-and-avocado sandwiches on whole-wheat bread and slept on the beach. . . . When they were tired or needed comforting, they went to Dirk’s Grandma Fifi’s cottage . . . Grandma Fifi was a sweet, powdery old lady who baked tiny, white, sugar-coated pastries” (5-6). “They also ate guacamole tostadas at El Coyote (which had, they agreed, some of the best decorations in Hollywood, especially the painting with the real little lights right in it), putting the toppings of guacamole, canned vegetables, Thousand Island dressing, and cheese into the corn tortillas” (41-42). El Coyote is a California-Mexican restaurant that has been in operation since 1931 and, like many places mentioned in Weetzie Bat, is something of a Los Angeles institution. Fun fact: Sharon Tate and three other victims of the Manson murders ate their last meal at El Coyote in 1969. 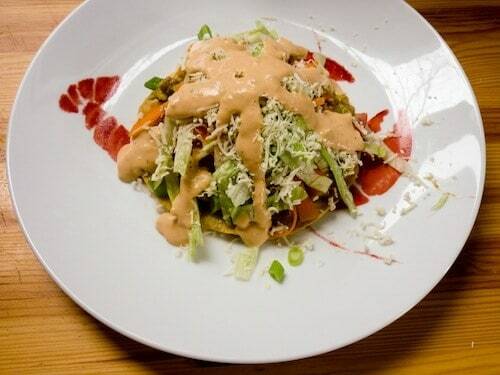 Now, I love guacamole, I love tostadas, and I even love Thousand Island dressing—on, say, a reuben. But on a tostada? I don’t know. Still, in my quest to make this summer Weetzie-tastic, I figured I had to give it a try. The result? It is actually delicious; kind of like a tostada salad with just a hint of trashy summer potluck thrown in. I can now add El Coyote-style tostadas to the long list of delights Weetzie Bat has brought into my life, alongside DIY fashion and the power to spit on skinheads at punk shows. Here’s to a summer of glitter, avocado, and good food stories. Make an easy guacamole. Mash the avocados and season with salt and pepper; add salsa and lime juice a few spoonfuls at a time and stir to combine until the guacamole reaches your desired consistency. Heat a tablespoon of corn oil in a small saucepan over medium-low heat and add the garlic. Cook until the garlic is soft but not yet brown at the edges, then add the refried beans and heat through. Season with the chili powder and a pinch of salt and pepper. Line a large plate or baking sheet with paper towels. Heat oil in a heavy-bottomed, high-sided sauté pan or skillet over medium-high heat. Drop one corn tortilla into the oil and fry until crispy, about 15 seconds on each side. Remove and let rest on the paper towels while you fry the others. 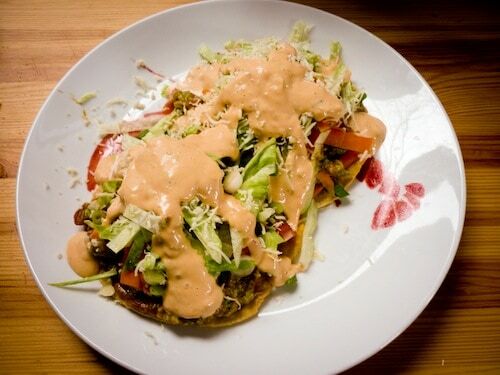 Compose tostadas as you please, layering the refried beans, guacamole, canned and fresh veggies, cheese, and lettuce onto the crispy tortillas. Top with Thousand Island dressing and you’re ready to snack!